The best choice for domestic homes, this smart solar inverter features intelligent shadow management. 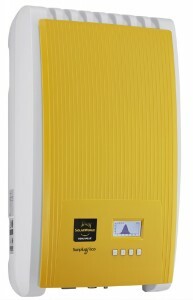 With fast start-up at first light this inverter will work reliably throughout the day. Not only does it deliver great performance but it is also light weight and user friendly. Ask yourself, why you don’t have one. Then contact us to supply you with the best solar solution suited to your needs.